Why kids eye need to be Checked regularly?? 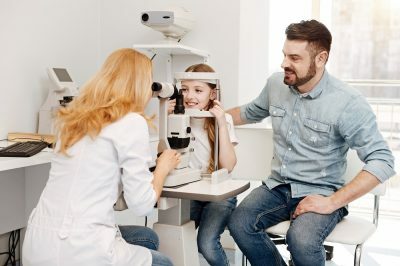 – Parents visit pediatricians often to make sure that their kids are healthy, it is a good sign, but they also need to keep it in mind that that visiting the eye care clinics too annually must be a part of their check-up plan. This is important so that children can have proper eye vision. Taking care of eyes from tender age will make sure that they will have good vision even after becoming adults. Without proper eye care, it is impossible to carry out a task perfectly. It is a well-known fact so why to put kid’s vision at risk when you do have enough time to take utmost care of their eyes. As said earlier it is impossible to carry out any task without proper eye vision. So, when the kids are taken regularly to an eye doctor, you will understand if they are facing any problems and it can be remedied at an early stage only. Some of the problems of eyes such as eyesight can get reduced if it is spotted at an early age. The sight issues can be solved with simple eyeglasses when you take a kid’s eye checkup but ignoring them will lead to so bigger problems later. Usually cold is a sign of flu and similarly, trouble with eyesight is a sign of what is happening in the kid’s body. They give signals when something is wrong inside. Regular kid’s eye checks up will take notice of such problems present inside the body which we are unaware of. Some of the signs are; cataract in the eye is a sign of diabetes whereas gray ring around cornea is a sign of cholesterol. 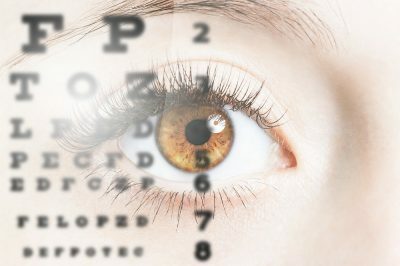 So getting the eyes checked regularly rules out such problems and provide information about the whole body of the kid. The annual kid’s eye check up will help in identifying the problems at an early age. Usually people don’t care about a problem until and unless it is visible and troublesome. This is the reason for many surgeries and operations but if the problem is identified early it will be easy to treat the kid and there is no need to go for big surgeries as the problems during early stages can be treated with medications. Usually, kids get scared to visit an eye doctor but there is nothing to be scared and the doctors will be friendly with them. you need to help your kid understand the importance and take him or her to the checkup without fail. The habits that are adopted at small age can be carried for a lifetime and this is true for our body’s health too. If you make your kid health conscious from a small age they will grow up healthy beings. Taking children to kid’s eye check on a regular basis will make them learn how to maintain the health of their eye and makes it a habit to visit the doctor regularly. Having poor eyesight will affect the kids a lot while they are carrying out their regular life activities. So, it is better to get kid’s eyes checked to ensure that they are healthy. These are some of the benefits of taking kids to annual eye checkups.